Rall is also a ground-breaking comics journalist (an artist who reports the news using cartoons). He has filed award-winning comics journalism from Cuba, Myanmar, Kashmir, Afghanistan and recently the student protests that rocked Quebec during 2012. Rall’s weekly syndicated column runs in 40 newspapers in the U.S. and overseas, and was consistently Yahoo News’ most popular feature. 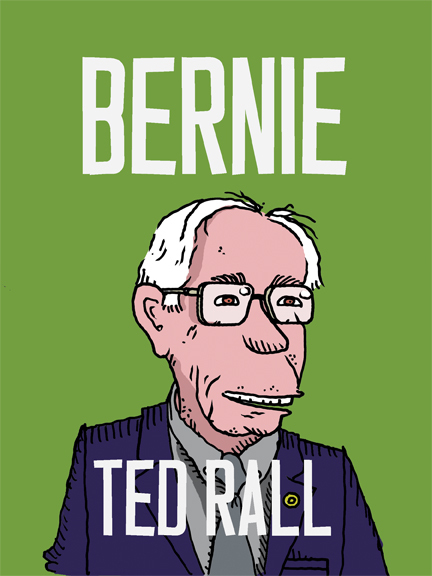 Ted Rall was born in Cambridge, Massachusetts in 1963, raised in Kettering, Ohio and graduated from Fairmont West High School in 1981. His first cartoons were published in the Kettering-Oakwood (OH) Times. He majored in physics at Columbia University’s School of Engineering from 1981 until 1984, where he drew cartoons for the Columbia Daily Spectator, Barnard Bulletin and The Jester humor magazine. He was expelled in 1984, between his junior and senior years, for academic and disciplinary reasons. Inspired after meeting pop artist Keith Haring in a Manhattan subway station in 1986, Rall began posting his cartoons on New York City streets. He eventually picked up 12 small clients, including NY Weekly and a poetry review in Halifax, Nova Scotia, through self-syndication. In 1990, he returned to Columbia University to resume his studies, from which he graduated with a bachelor of arts with honors in history in 1991. (His honors thesis was about American plans to occupy France as an enemy power at the end of World War II.) Later that year, Rall’s cartoons were signed for national syndication by San Francisco Chronicle Features, which is no longer in business. He moved to Universal Press Syndicate in 1996. His cartoons now appear in more than 100 publications around the United States, including the Los Angeles Times, Tucson Weekly, Pasadena Weekly, Washington Post, and New York Times. 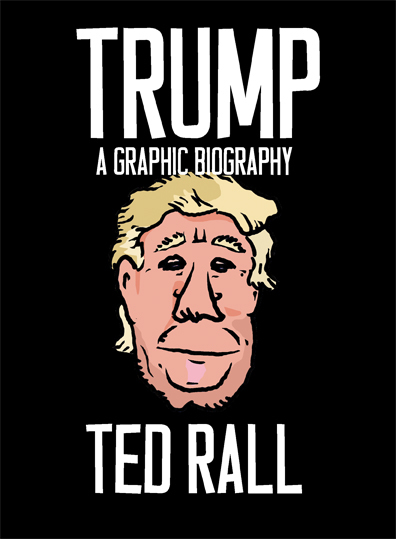 Rall considers himself a neo-traditionalist who uses a unique drawing style to revive the aggressive approach of Thomas Nast, who viewed editorial cartoons as a vehicle for change. His focus is on issues important to ordinary working people—he keeps a sign asking “What do actual people care about?” above his drafting table—such as un- and underemployment, the environment and popular culture, but also comments on political and social trends. Rall’s career as a writer began in 1992, when he became a Contributing Editor to Might magazine, an influential San-Francisco-based glossy magazine co-founded by Dave Eggers. Ted’s first major piece for Might, “Confessions of the Investment Banker,” was reprinted around the world, including in the Israeli daily newspaper Ha’aretz, the Australian Financial Review, and the daily Asahi Shinbun newspaper in Japan. Beginning in 1994 with “Why I Will Not Vote,” he contributed op/ed articles to The New York Times throughout the 1990s. Rall launched his weekly syndicated opinion column for Universal Press Syndicate in 1995, and went on to become a Staff Writer for P.O.V. magazine until that publication went out of business. His most recent major feature story, about the threat posed by Lake Sarez in Tajikistan, appeared in Men’s Journal in 2008. From August 1998 to August 2000, Ted hosted his highly-rated, twice-weekly talk show on KFI Radio in Los Angeles. Highlights of Ted’s show included “Stan Watch: Breaking News from Central Asia,” which was simulcast by both National Public Radio and the BBC, and caustic interviews with such figures as former Klansman David Duke. Ted often broadcast his radio show from overseas, and made American radio history by airing the first live talk radio shows from Cuba, Uzbekistan and the frontlines of the war in Kashmir Province. Ted’s live from Afghanistan reports for KFI Radio and written dispatches for the Village Voice was called “some of the best war reporting from Afghanistan” by The Nation. From 2004 to 2006, he returned to the airwaves on KFIR-FM (106.9 Free FM) San Francisco. 1997 — First Prize, Firecracker Alternative Press Award, for Real Americans Admit: The Worst Thing I’ve Ever Done! 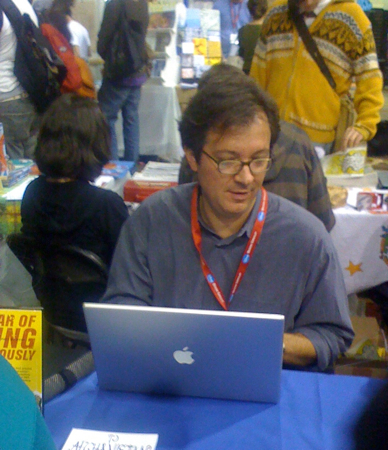 Ted Rall was the 2008-2009 President of the Association of American Editorial Cartoonists. 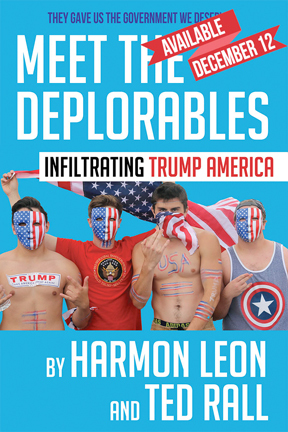 A sequel to “The Anti-American Manifesto” that lays out a path for the U.S. to transition to a post-American government. A book of cartoons, photos and prose drawing on Ted’s August 2010 trip to Afghanistan and Iran.